Intranet Governance: What is it and Why is it Important? Intranet Governance refers to an intranet's ownership and management model. A governance policy / strategy should set out how your intranet will be managed, clearly detailing what functions will be carried out and by whom. 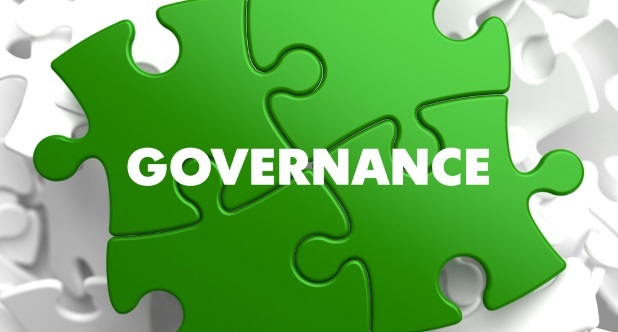 This blog explains why a governance policy / strategy is important and what it should cover. For more information, download our free guide. Intranet governance is crucial for ensuring the efficient management of any corporate intranet. In order to achieve a single, consistent intranet, the intranet should be primarily under central control. However, some elements (such as specific pages of the intranet) may be best managed separately, by individual users or departments. This can be achieved by enabling intranet pages (and their content) to be developed and owned locally by each business unit, whilst ensuring key components of the intranet are kept under the control of a central team. This structure is something that should be clearly defined in the governance strategy. How your management team is set up will vary from one organisation to another. You may have already discussed the best way to assign roles and responsibilities when you created your intranet steering committee. The governance document will set out these roles in detail. A key point to consider is the fact that for most of the team, their role in the intranet is additional to their full-time position so any extra roles they take on will need to be supported by the intranet steering committee and senior staff. A governance strategy gives you the chance to make intranet roles and responsibilities official. Roles might include IT support / management for the intranet as well as content related roles such as contributors and owners/approvers and editors. Publication guidance as to what is and what is not acceptable to avoid offence, harassment. This part of your strategy is where you specify the processes colleagues need to undertake in order to use, edit, contribute and make changes to the intranet. It’s essential that the core processes are documented in order for all of your colleagues to understand and be able to reference material when adopting your intranet. I hope this blog has given you an insight into what intranet governance is. If you would like help producing your own governance strategy, download our free guide. To find out how we can help you directly, get in touch or book your place at one of our nationwide Showcases.